With plans for a Super Bowl commercial in the works, Samsung has released yet another spot in its hard-hitting Galaxy II ad campaign. The spots, which take direct aim at Apple, have a familiar ring at this point: Apple die-hards wait in line for the latest iPhone, only to be shown up by a passerby with a Galaxy in hand. In the latest spot, the roommate of one of those in line stops by with a charger for his friends, who notice that his phone has turn-by-turn navigation. He smugly points out that it’s an included feature on his phone, unlike the iPhone, where live GPS-style directions require a third-party app. “Oh, we just got Samsung-ed,” whines one of the queued-up Apple fans. It’s another fun spot, though the comments on Samsung’s Facebook page suggest not everyone loves it. One Galaxy S II owner complains about dropped calls, while another bemoans how his phone doesn’t have LTE (of course, some Galaxy S II models do have LTE, and no iPhone supports it). 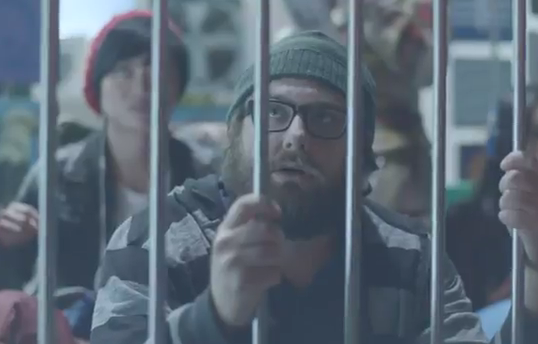 In any case, it will be interesting to see what Samsung comes up with for its Super Bowl spot.